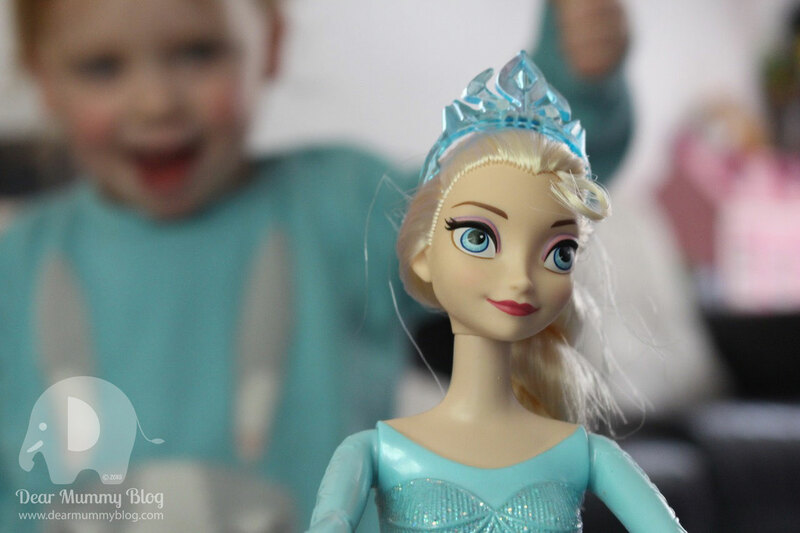 My magic ‘Frozen’ play date! One can sometimes be the magic number….When all my little friends are busy with their folks and can’t come round to play I have to settle playing with my ‘other’ friends. These ‘other friends’ are always around, night and day. They live at my house, in my drawers and under my cot. 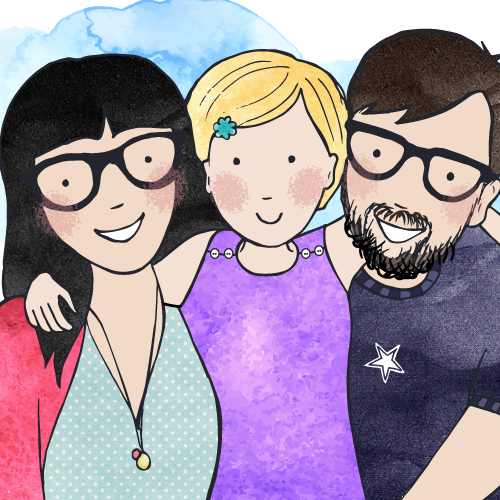 They come to life when I hold them and babble to them. Like real magic, my imagination brings these toys to life. 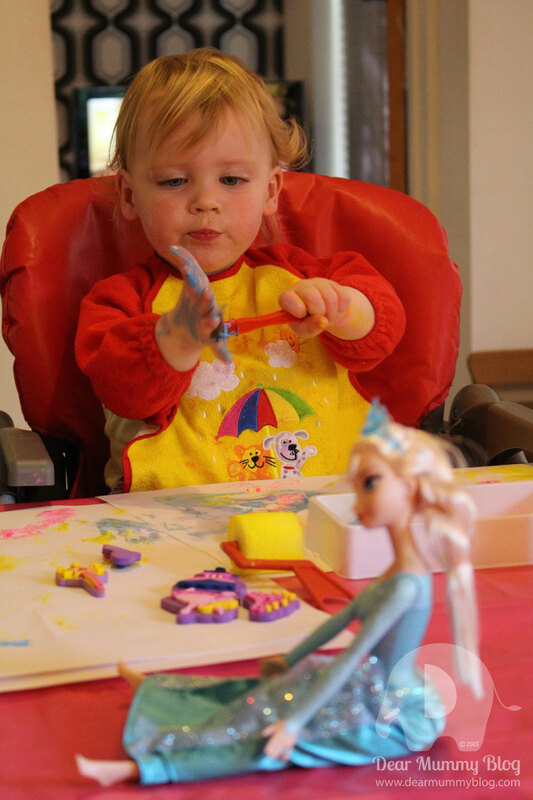 My favourite friend today is Queen Elsa. Yes, she’s from Frozen. Yes, I’m obsessed. I’m a big fan of magic. I love how Queen Elsa from Frozen brings Olaf the Snowman to life. She uses her magic and weaves her power over him. 1) Adventure. 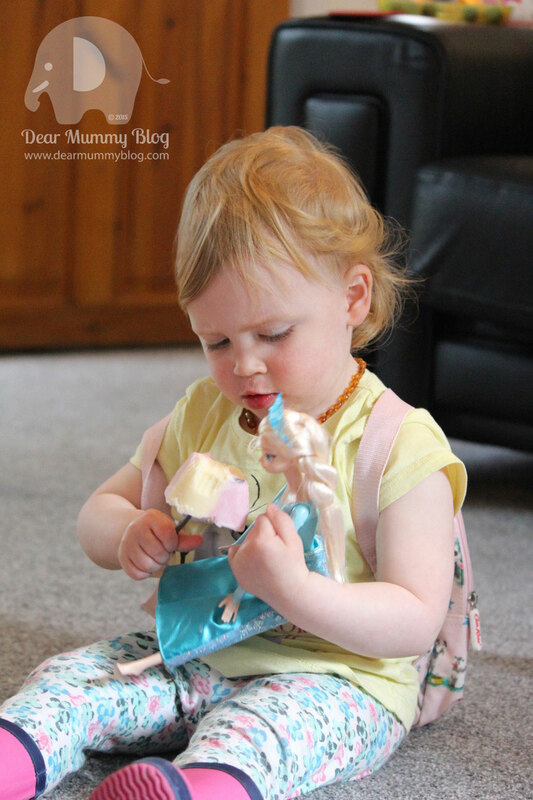 We climb the sofa and scourer the land (the living room) for treasure and activities. No building block is left unturned. No playhouse is left unscathed. The house is turned upside down and looks like a bomb’s hit it. It’s such fun and I love talking to my toys and playing with them. 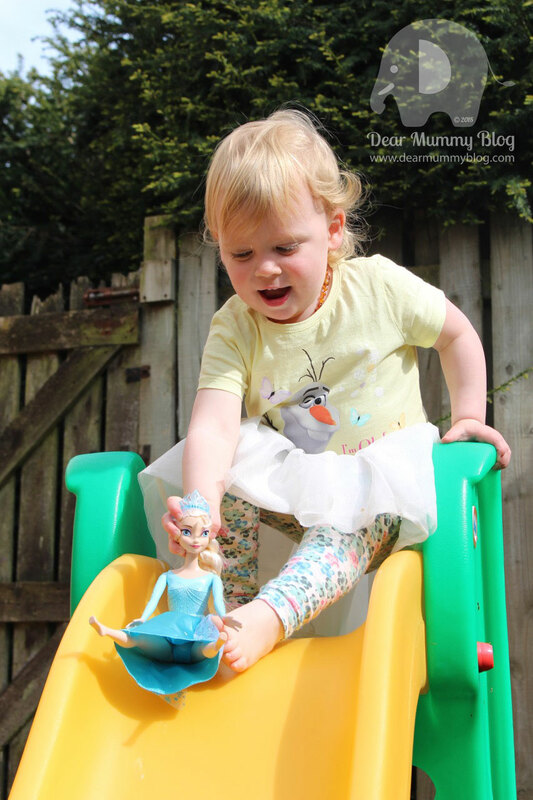 Today I took Queen Elsa down the slide with me! 2) Tea Parties. Everyone loves a good tea party. I enjoy eating imaginary cake and pouring tea from my tea-pot. I share with my toys *cough* I mean ‘friends’ and dance around the living room. 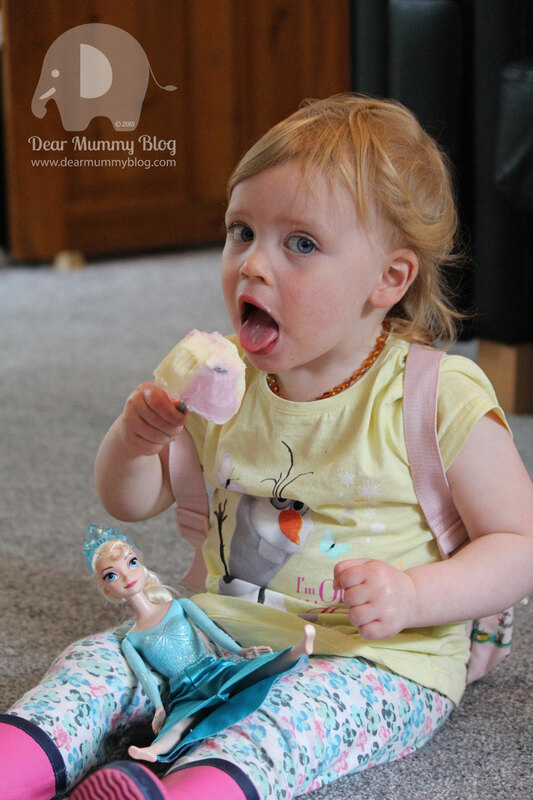 Sharing is very important and as you can see I share with Queen Elsa very well! 3) Dress up. 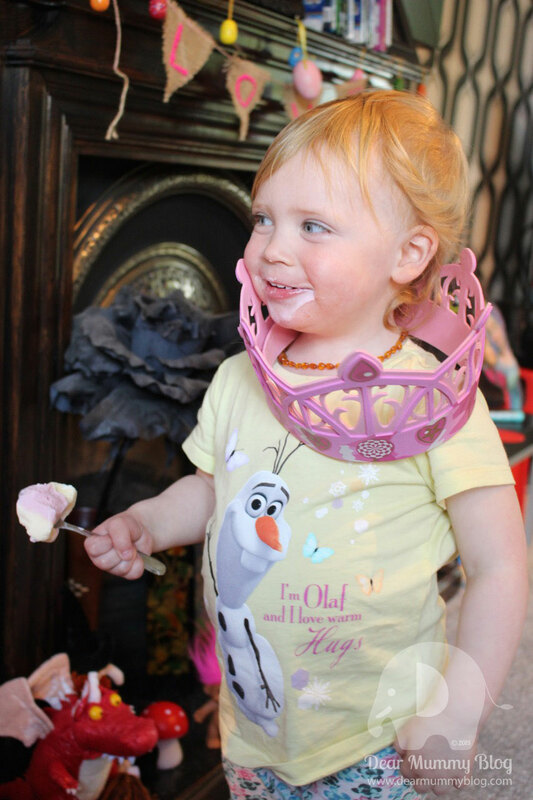 No play date would be complete without dressing up and playing make-believe! I love pretending to be a princess. I sit at my little dressing table and put on my foam crown. 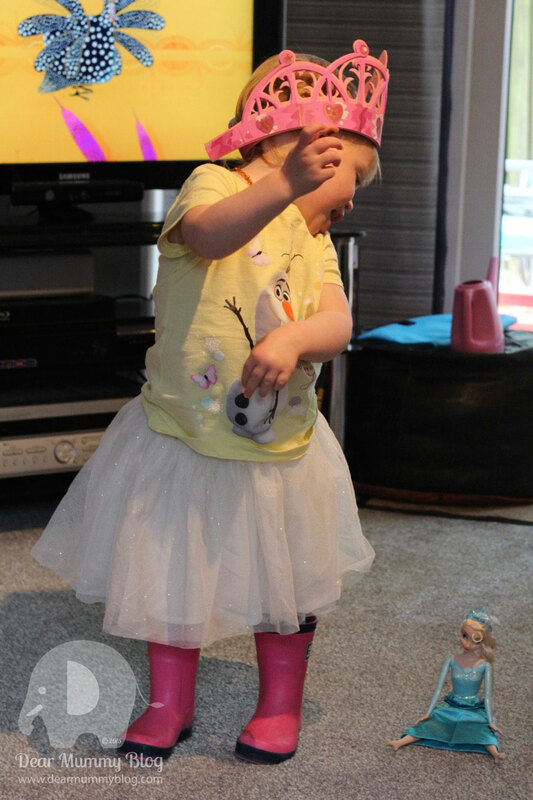 I dress in my tutu and dance around to ‘Let it go’ from Frozen. Occasionally my mummy joins in and we run around the living room like two loonies. 3) Music. We’re big fans of music in this household. I’ve got my own music drawer, which contains drums, shakers, a xylophone, a toy trumpet and a guitar. I sing nursery rhythms with my mummy and sit on my bongo drums. Toothless & Broom (the dragons) help with my music class. 4) Creative. 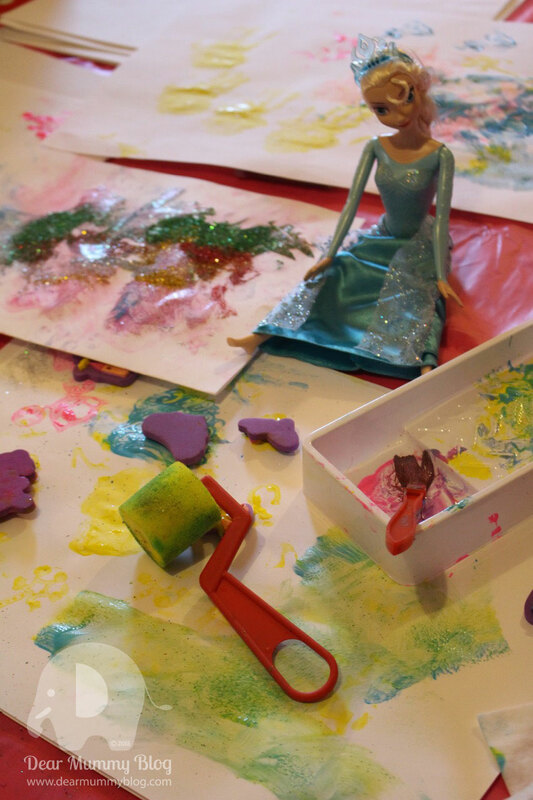 We love messy play. My mummy gets involved too, mainly to save the furniture! Adult supervision is required when a toddler plays with paint 😉 I always have a great time making artistic masterpieces. No play date would be complete without a crayon or a sticker either. 5) Sleep. Putting my dolls to sleep and pretending to sleep. Hop little bunny is one of my favourite games. It’s always good to wind down at the end of a manic play date, even if the toys don’t get tired – I do! My mummy usually falls asleep before I do *tut* she just can’t keep up with me! My mummy surprised me with a new treat today! 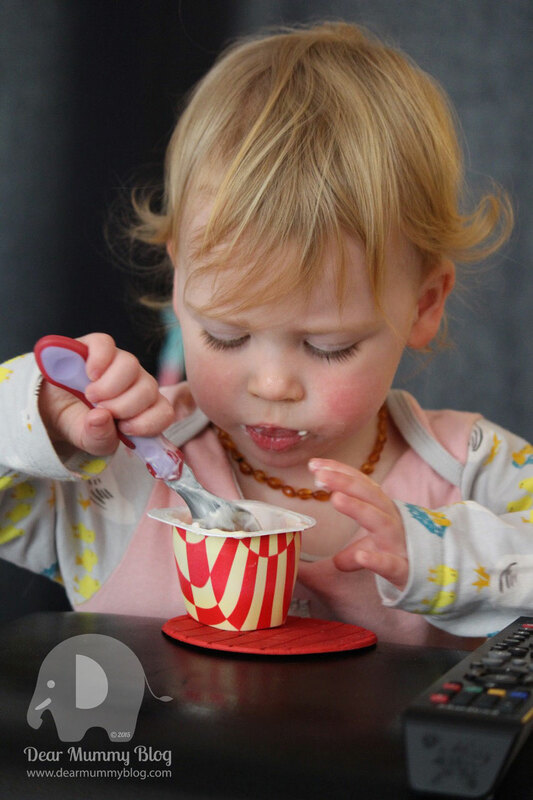 A lovely new yogurt by Petits Filous. When my mummy and I peeled back the lid we were amazed at the unique pattern inside – four little squares. Elsa helped ‘Mix Up the Magic’ to my play date today by using her power to freeze my Petits Filous Magic Squares. 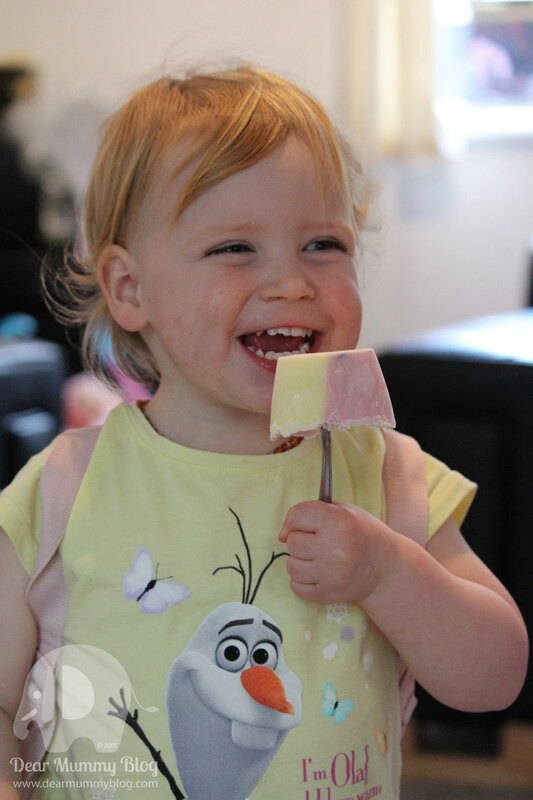 All we did was stick spoons in the yogurt pots and helped Elsa open the freezer door and voilà! I’ve got a real love for these little pots of goodness! Everything from the quirky packaging design which reminds me of the squares in Alice in Wonderland and the bright colours which stand out of the supermarket shelf. 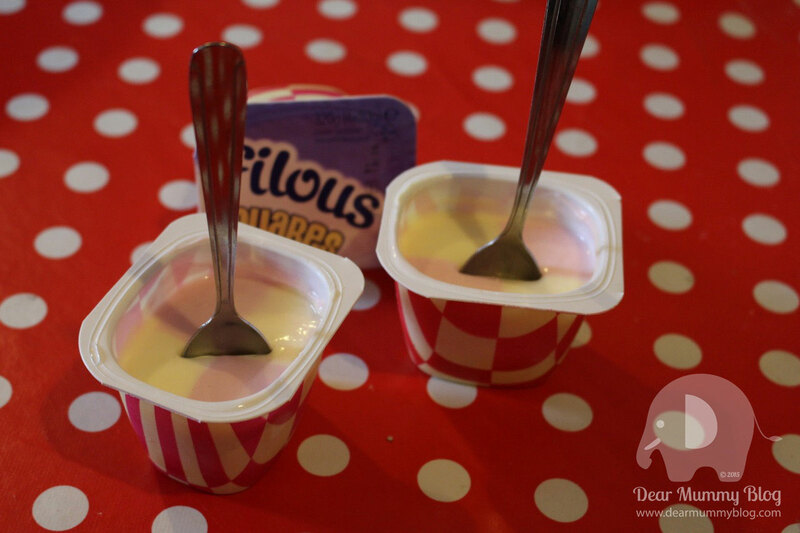 Petits Filous is a well know brand among families and are renowned for producing yummy favours. 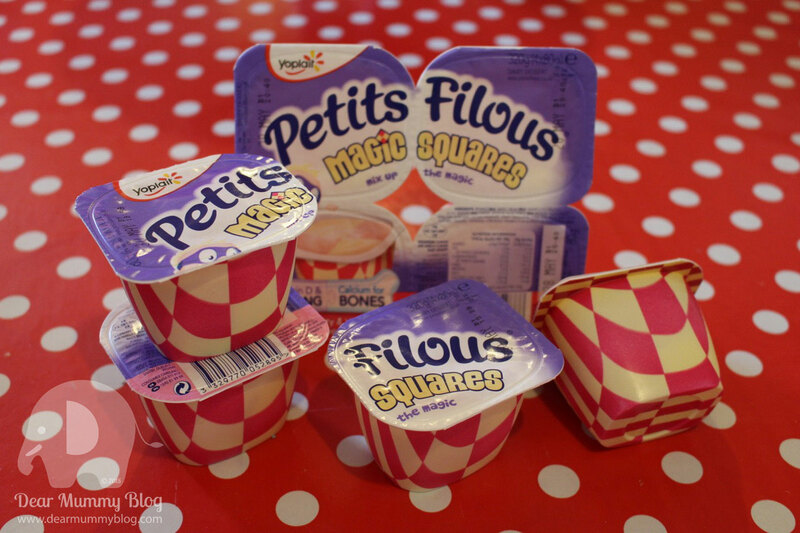 Petits Filous Magic Squares provide calcium and vitamin D for strong bones. However that’s not the best bit….the thing that’s magic about these fromage frais is that they have combined two favours! They are available in two delicious varieties, Strawberry & Vanilla Flavour and Raspberry & Vanilla Flavour and they sound yummy! You can eat them separately or together!! How cool is that? Our favourite is the Raspberry & Vanilla flavour. I enjoyed mixing them up, while my mummy liked to eat them separately, trying not to combine the colours to see how far the pattern went down in the pot. They were great value for money too and we picked up 8 pots (on offer) for £2 from Tesco. My mummy is wondering how on earth they got the flavours separated in the pot like that?!? I’m too busy eating! One of life’s little mysteries….. Maybe its magic?